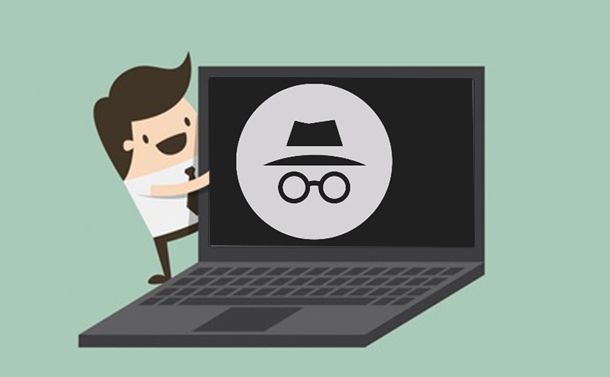 A private browsing mode or Incognito mode helps you surf anonymously though not completely. Whenever a user browses in a private mode the browser by default does not store the web pages that he visits, search history, cookies and temporary files. Mostly all modern-day web browsers offer private browsing, however, you have to start the Incognito mode manually after starting the browser in normal mode. But do you know that you can start your browser in Incognito mode by default? Well! If you wish to learn how to automatically start your browser in Incognito mode then continue your read till the end. Irrespective of the browser you use you can set any browser to start in private mode by default. This can be quite helpful if you always prefer a specific browser for browsing privately. In this article we have listed all the major browser so that you can automatically start your preferred browser in private mode. Launch the browser and click on Menu button located at the top right corner. Now from the drop-down list select Options. In the new tab of about: preferences that opens click on Privacy & Security from the left panel. Now in the History, select “Use custom settings for history” and check mark the option, “Always use private browsing mode”. In the prompt that appears select Restart Firefox now. After restarting you can continue browsing in private mode without leaving your traces behind. Now, whenever you start the browser it will automatically start in private mode, although the interface will not look like Incognito mode. Locate the Google Chrome icon and right click on it. Now from the drop-down list select Properties. In the Target field of Google Chrome properties window type -Incognito at the end of the pre-written text. Please make sure to leave a space between the pre-existing text and -Incognito. Click apply to save the changes. Going forward, whenever you launch the Chrome browser from its shortcut Chrome will by default launch in private mode. The method to automatically start the Incognito mode in Internet Explorer is somewhat similar to Google Chrome. If you are on Windows 10 then first of all you have to search the Internet Explorer from Windows Search. Now pin it to task bask. Now right-click on the icon and select Properties. In the Target field of Internet Explorer properties window type -private at the end of the pre-written text. Please make sure to leave a space between the pre-existing text and -private. Click on Ok button to save the changes. Now Internet Explorer will automatically load in private browsing mode whenever you click on its shortcut. Safari, the default browser of Mac can be set to automatically start in private browsing just by following simple tweaks. Launch Safari and from the drop-down list select the Preferences option. Now in the General tab click on the option Safari opens with and from the drop-down menu selects A new private window. This simple tweak will now by default open Safari in Incognito mode. Alas! If you wish to open Microsoft Edge automatically in private browsing mode as like other browsers then you may be a little disappointed as presently Microsoft does not provide any option. However, once it gets added we will update you regarding that. So, guys, that’s it from our side. Now you do not need to remember to start browsing in private mode as following the steps above will automatically start the browser in Incognito mode. How To Move Your Amazon Music Locker Library To Another Service?